Our mirabelle plum syrup is ideal for a refreshing non-alcoholic drink and it will delight both young and old. 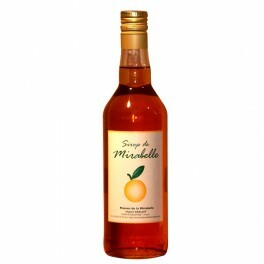 Add still or sparkling water to make a diabolo mirabelle. The syrup can also be poured over a mirabelle plum sorbet.